Finally, comfortable snake chaps that you can wear all day! TurtleSkin SnakeArmor chaps are surprisingly lightweight and flexible. They offer two levels of protection from snakebite, thorns, and briars, full coverage and below-the-knee. 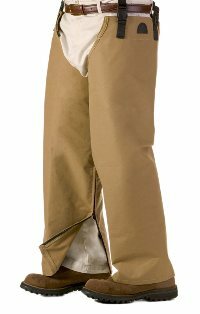 TurtleSkin Total Leg Protection Snake Chaps offer your entire legs full protection from snake bites, thorns, and briar, yet are incredibly lightweight, comfortable, and breathable.